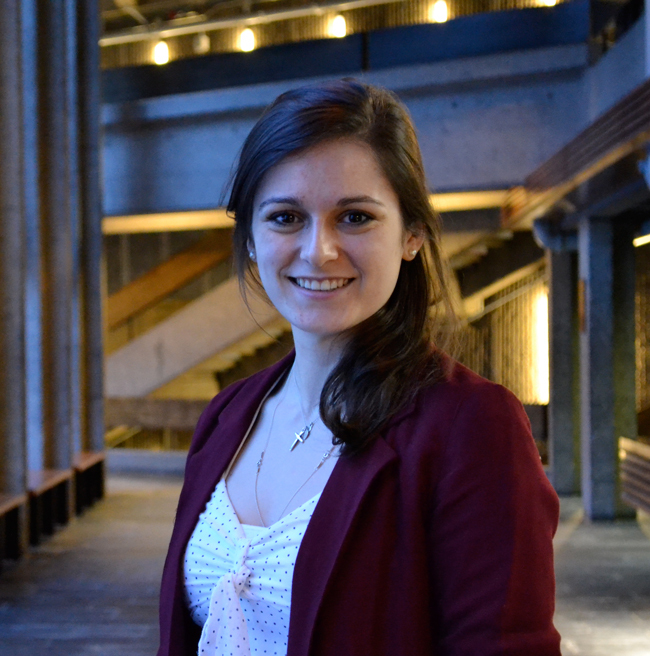 Danielle Toccalino, a neuroscience student, the incoming Secretary-General of McGill’s Post-Graduate Students’ Society (PGSS) and a longtime student politician, is ready to take on what might be her biggest political challenge yet. The PGSS executive has suffered from internal strife over the past year – former Secretary-General Juan Camilo Pinto resigned in January – and it will be her job to keep the Society’s ship on course over the upcoming year. Danielle Toccalino, the incoming Secretary-General of McGill’s Post-Graduate Students’ Society (PGSS), is no stranger to campus politics. She is a former president and chief returning officer of the Science Undergraduate Society (SUS). She has served as a Neuroscience representative on the PGSS and a member of the SUS Constitutional Affairs Committee. And she has participated in a number of working groups with both Principal Suzanne Fortier and Deputy Provost (Student Life and Learning) Ollivier Dyens. Now, the neuroscience student, who was elected to the post-grad executive committee this past April, is ready to take on what might be her biggest political challenge yet. The PGSS executive has suffered from internal strife over the past year – former Secretary-General Juan Camilo Pinto resigned in January – and it will be her job to keep the Society’s ship on course over the upcoming year. One way that Toccalino wants to foster greater unity within the PGSS is by working closely with departmental student associations and their council representatives so they can more actively engage their own members. Specifically, she hopes to focus on groups who have traditionally been harder to reach, such as post-doctoral fellows, graduate student with families, and graduate students based at Macdonald campus and the new Glen site. “We have already started working together, so that will go a long way towards forging good relationships going forward. I want to try to keep meetings about the issues at hand and not about personal differences that might arise. We have also decided to emphasize bonding, discussion, and debates outside of a formal meeting session,” she says. Another priority is to implement mandatory training programs in equity, mental health and first aid for the PGSS executive team, Toccalino explains. A first workshop has already been planned for early June, and others classes will follow during the fall semester. The Toronto native is confident that her previous roles with the PGSS and SUS have prepared her for this latest foray into student politics. One of those core issues might involve determining what role, if any, that PGSS will play in the larger province-wide student movement.